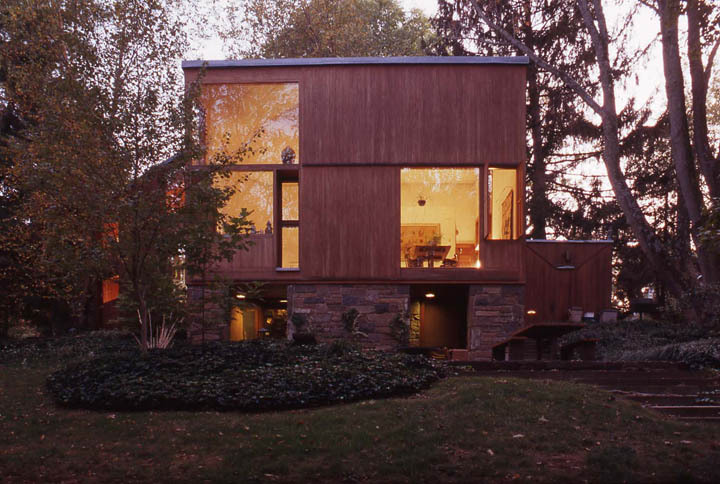 Louis Kahn, Dr. and Mrs. Norman Fisher House, 1960-67, Hatboro, PA. Photo: William Whitaker. The Houses of Louis Kahn is a comprehensive study of the domestic architecture of this great master builder. 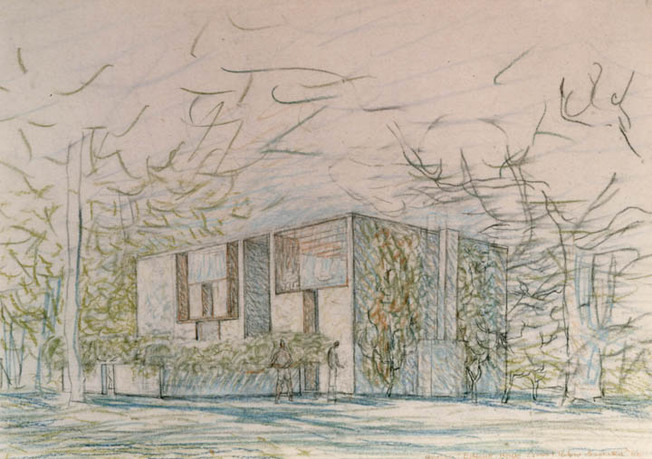 Written by George H. Marcus, assistant professor of the history of art at the University of Pennsylvania, and William Whitaker, curator of the Louis I. Kahn collection at Penn's Architectural Archives, this book takes a holistic approach to the publication of Kahn's houses. 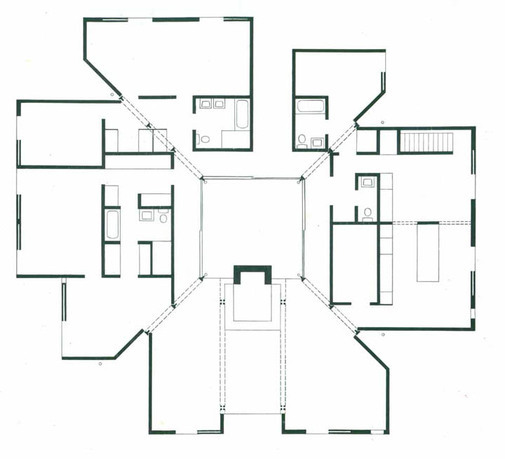 It looks at them as total works of art, presenting along with historical, formal, material, and spatial overviews of their light-infused structures, Kahn's visions for their interiors and their furnishings. 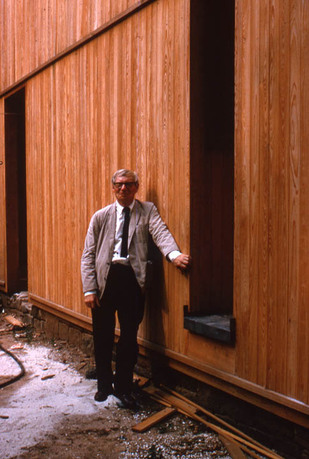 The study focuses on the nine houses that he built across his career, between 1940 and 1973, and places them in the context of Kahn's own work, especially the unbuilt houses he was working on during the same period, and those by other contemporary architects, and in light of his interaction with his clients. George H. Marcus is adjunct assistant professor of the history of art at the University of Pennsylvania. He is coauthor of a pioneering design survey, Landmarks of Twentieth Century Design (1993), and his other publications include Master's of Modern Design (2005), Le Corbusier: Inside the Machine for Living (2001), Design in the Fifties: When Everyone Went Modern (1998), and Functionalist Design: An Ongoing History (1995). He cocurated the exhibition What Is Design Today? at Philadelphia University (2002) and wrote the accompanying book. 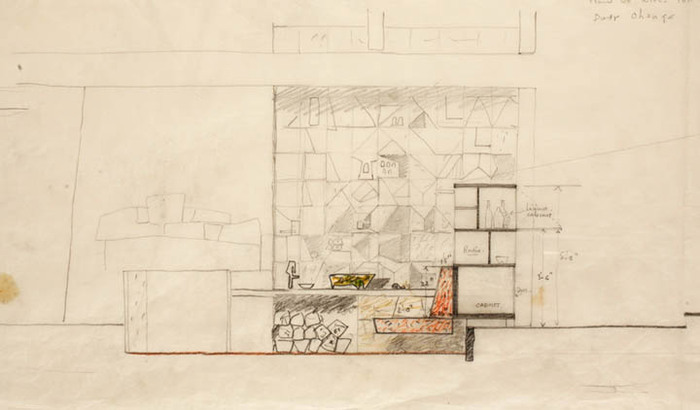 In collaboration with his graduate students, he also created the exhibitions Whimsical Works: The Playful Designs of Charles and Ray Eames (2005) and Louis Kahn: The Making of a Room (2009), which were both shown at the University of Pennsylvania's Ross Gallery. For over thirty years, he served as director of publications at the Philadelphia Museum of Art. William Whitaker is the curator and collections manager of the Architectural Archives of the University of Pennsylvania—one of the leading repositories of architectural records in the world. He has organized and cocurated over thirty exhibitions, including retrospectives on Louis I. Kahn, Lawrence Halprin, Robert LeRicolais, Antonin and Noemi Raymond, and most recently Wharton Esherick. In addition, he directed research for the landmark retrospective Out of the Ordinary: The Architecture and Design of Robert Venturi, Denise Scott Brown & Associates, organized by the Philadelphia Museum of Art in 2000. Trained as an architect, he received his undergraduate degree from the University of New Mexico and his master's from the University of Pennsylvania, where he teaches as a visiting lecturer in the Historic Preservation and History of Art Departments.